The Violet Crown Trail has arrived! We hope you will help us spread the word! Check out the VCT Drone video HERE! Recently the VCT has enjoyed great success! The first 6 miles of the trail officially opened on August 14th and the VCT was selected by REI to be one of 10 trails nation-wide to be highlighted in their national marketing campaign. Plans are now underway to build the next segment of the VCT and open it publicly by late 2016. 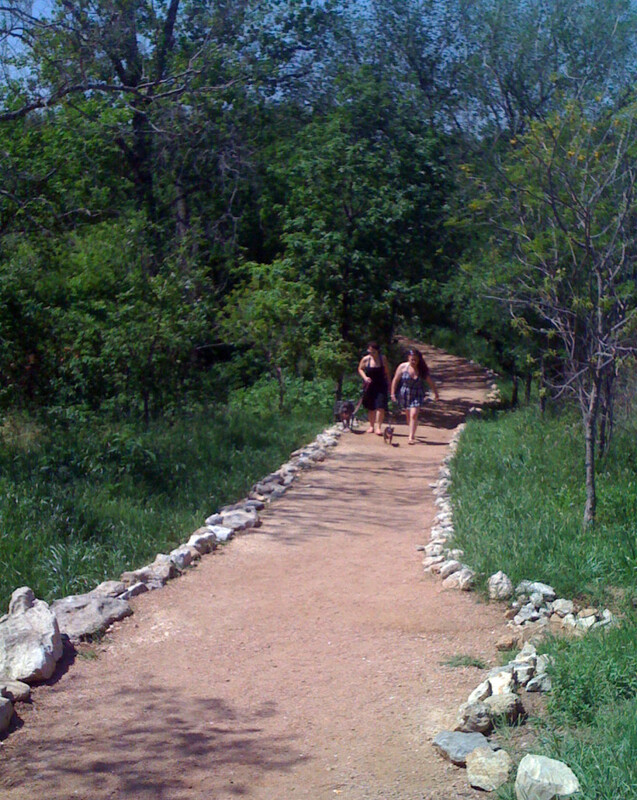 This section includes 7 miles of trail which will connect the recently installed 290 Trailhead to the Wildflower Center and Veloway. Once these first full 13 miles of the VCT are finished HCC will immediately begin work on the final 17 mile segment traversing through otherwise inaccessible Water Quality Protection Lands in a uniquely natural setting. As we move forward we ask you to join us! The VCT is truly a legacy project and will be enjoyed by thousands of trail users annually. You can support the Violet Crown Trail and bring us closer to completing the next section of trail by becoming a VCT Member. Members play an important role in supporting our message and they receive special gifts for joining! Memberships begin as low as $50! Become a Member Today! THANK YOU for supporting the VCT and helping us bring this exciting project to Central Texas!